On the conference Elena Kulikova, the leader of the Summer School could show that the participants are fully satisfied with the result of their days of networking and learning. And when SNS asks them, we get the same result. One already got an publication offer – the experience may be one cornerstone of their careers! – It has been three long days with lectures and training in communicating with job emails, posters and presentations. – We have learnt other and more European ways of thinking. We also got training in making posters that is very useful. In conferences we usually just have about three minutes to speak about our work, with posters we can participate in another way. – This experience has been very important for me because of the networking, for my future career and research opportunities. 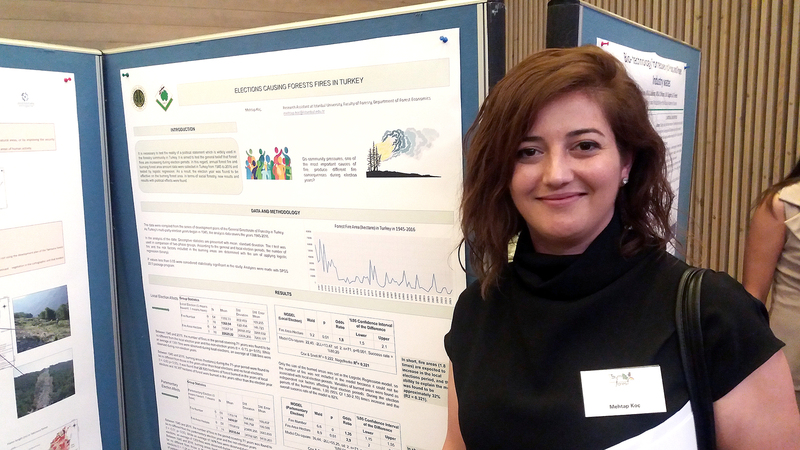 Mehtap Koç and her poster. 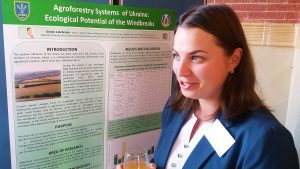 – There are a number of positive effects that have been gained by the training of young researchers in Belarus and Barcelona in Sumforest. 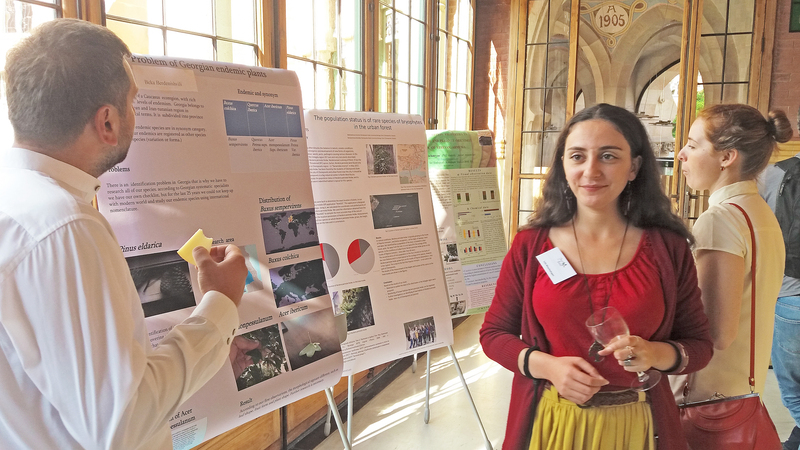 I first learned about preparing projects and preparing publications in the field of research, and I saw that this information were passed on to the experts at the Final Sumforest Conference. Participating in the final conference is a very impressive experiment. Important networking opportunities were offered at the beginning of my academic life. 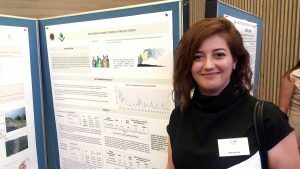 Poster: Mehtap Koç, Istanbul University. 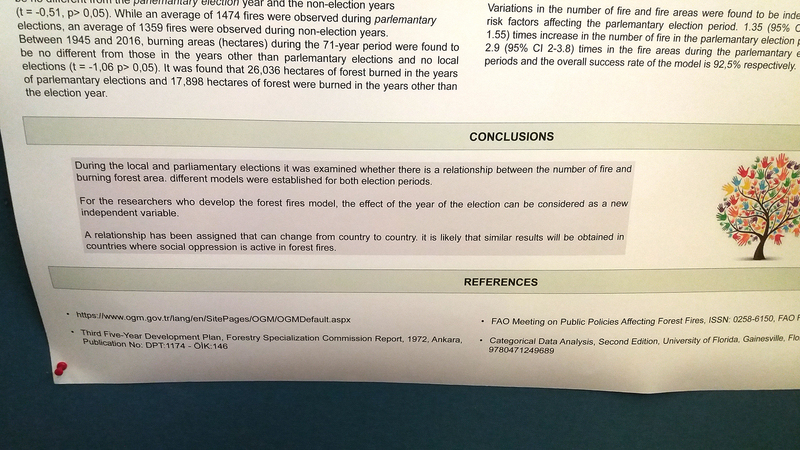 – The poster I prepared during the second training phase received a publication offer from a forestry Journal editor because of the striking topic title, which was a significant development for me. 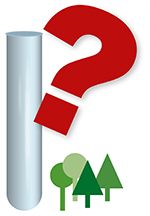 Sumforest young researchers have decided to strengthen our communications networking to prepare projects. 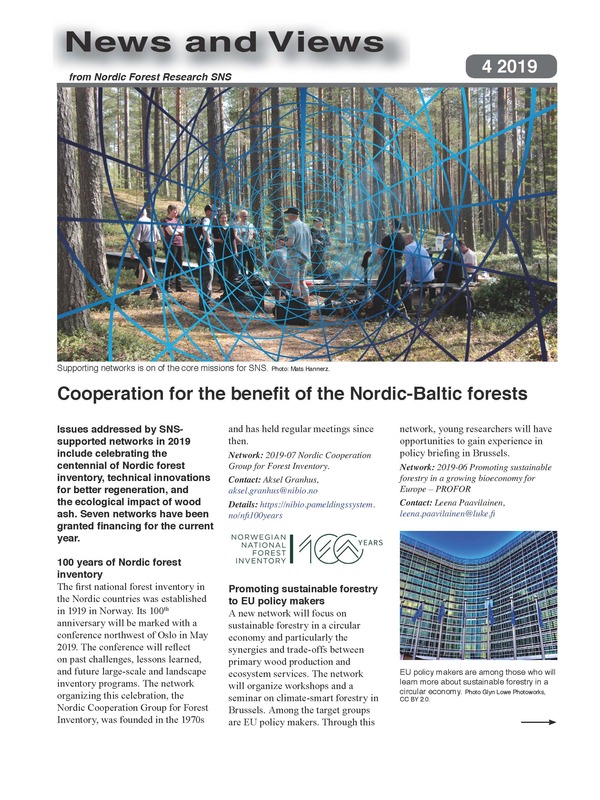 – In short, I think that the experience I had with Sumforest will be an important influence for the rest of my academic life. – Sumforest Summer School has given me much more than I could imagine. The day I have received the letter about acceptance of my application for participation in Sumforest Summer School, it was one of the best days in my life! – First of all, the Summer Schol gave me confidence and self belief about what I am doing. The second it gave me skills to effectively work in a group. It also teached me key tips on networking, project writing, poster making, gave me the opportunity to learn and communicate with highest professionals such as Martin Greimel, Elena Kulikova, Sarah Adams, etc. Beside this, the Summer School gave me very close friends (also future partners :)) ), with whom I am communicating almost every day. – The Summer School made me more professional, more purposeful, more communicable and more self-satisfied. I am so thankful to Sumforest Summer School organizers, that they did not spare any effort to give birth to this beautiful summer school.